Following the death of its vice-chairman, Draycott in the Moors Parish Council has announced that any resident who feels themselves suitable to fill the post should come forward and apply for a place on the council. There won’t be an election; instead, any resident should just drop a line to the clerk explaining why they think they could be good in the role. There are a few stipulations: you must live or work locally, be an elector etc (see councillor stipulations), but it’s all fairly straightforward. 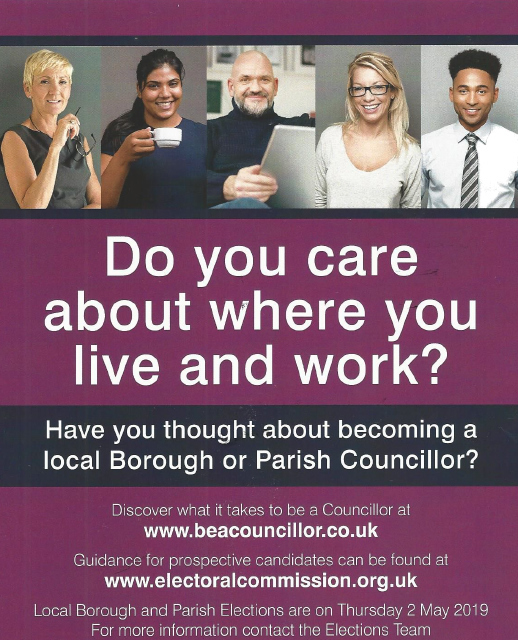 Your note to the clerk should give a brief description of yourself and what your connection with the Draycott-Cresswell-Totmonslow area is and a line about why you want to be a councillor. If you are selected to the short list, you’ll be expected to make a short presentation about yourself to the councillors too. The councillors will then make a choice. This is a great opportunity for someone who just wants to see up-close how local government works at the village level. So…. why not give it a go?? As there will be full elections next May, this post is only for six months (though the candidate can seek re-election then if they want, of course). You have until November 9th to email the clerk (draycottparishcouncil@aol.co.uk); and you should be available on the evening of November 12th to see the councillors. 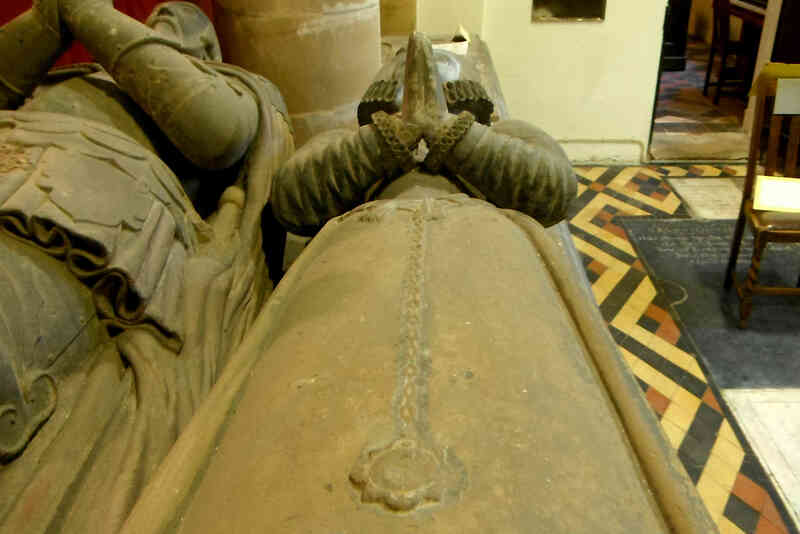 The History Weekend at St Margaret’s Church was a great success, with dozens of people coming from far and wide to check out the ancient building and also to join in the celebrations for its 750th anniversary. There were some really interesting discussions too on the extremely unpredictable future of the St M’s: what really is going to happen to it over the next twenty years…and what can be done about it? But the highlight of the weekend was the unveiling on the Sunday (Oct 21st) of a specially-made banner. The Draycott Craft Club – especially its leading lights, Jackie Knott, Pauline Clarke and Pam Hibell – had created it as a tribute, and it was unveiled by the bishop, who had arrived for the day. It really is a simply terrific piece of work, outlining the history of the village over the last millennium, and has been beautifully made. A credit to the makers, it now has pride of place in the church. Unfortunately the church is kept locked most of the week, although the church is open for services on Sundays, so it can be seen at those times. For more pictures of the history weekend, click here. 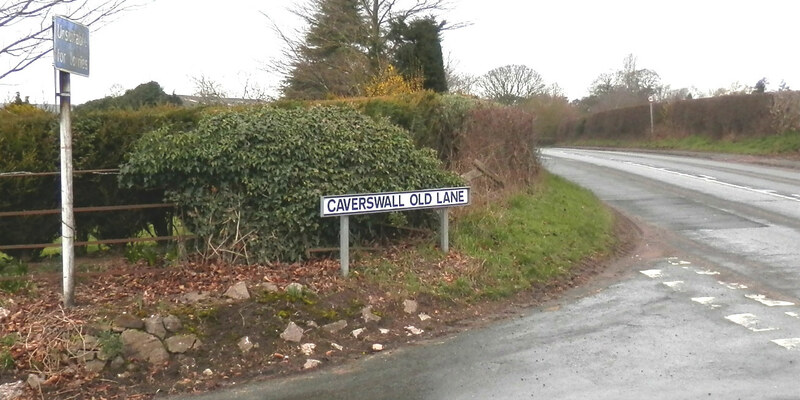 Well done to Jacquie Leach (a VVSM supporter), who made sure that the controversial issues regarding Draycott & Cresswell did not just get swept under the carpet at the recent Moorlands Local Plan inquiry. The inquiry, based in Leek and headed up by a government-appointed inspector, took place over seven days at the beginning of this month. On the day appointed for discussion about Draycott district, Jacquie (pic, right) was there to speak up and debate the issues with the inspector. Jacquie told us that she felt compelled to give it one last shot. She stood up and told the inquiry that that our district was in danger of being swamped – with 500 new houses in the pipeline and a large expansion of industry on the way, all of which would lead to a near-doubling of the population (and traffic) over the next ten years. She pointed out that much of the development was contrary to the regional Core Strategy guidelines. For more of how the day went, click here. Let’s hope the government inspector listened, and gave her arguments full consideration. We know now how much the new clerk at Draycott village council is to be paid. This was kept under wraps at first (why, who knows?) but it was bound to come out eventually because it has to be mentioned in the monthly accounts, and so it has. (A council clerk is basically the ‘manager’ of the council’s business and, amongst everything else, also has to deal with all the new government legislation that keeps coming in). Denise, who was appointed in May and will be part-time (4.5 hours a week), is to be paid £10 an hour, i.e. £200 a month. Last year there was much discussion at village meetings over the rate of pay & hours for the clerk, (which has not gone up in many years). It’s a responsible, legally-fraught position, but while some felt that a clerk was not worth much more than the national living wage, others felt that the job had become much more demanding and therefore wages should be more in line with what other parish councils do (who pay up to £12 an hour). Which leads us to … the council tax mess-up. At the January meeting of the council, it was decided to go for a very large increase in the parish council’s demand for council tax – a jump of almost 12%… (!!) to cover an increase in pay & hours for the clerk. 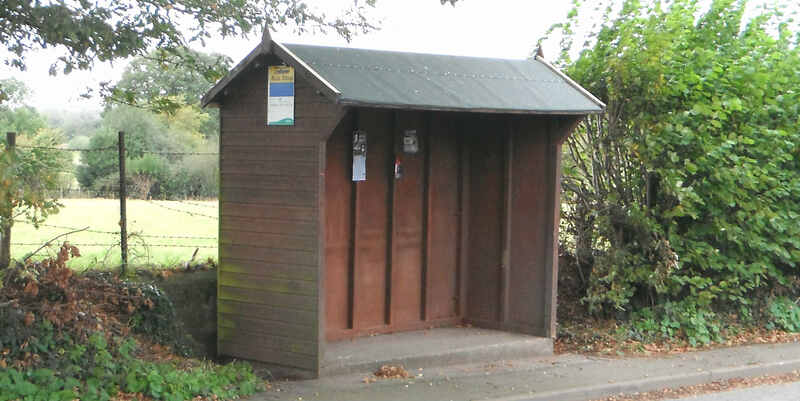 (It was pointed out at the time that it wasn’t strictly necessary, as there was enough money in the reserves to cover it, but the councillors went ahead anyway). All over the rest of the country, austerity was still in place and other councils were deliberately trying to keep their council tax down – but Draycott Council went ahead anyway with this massive increase. And then… the councillors changed their minds about the clerk’s pay-rate. Again, we’ll never know exactly what happened – because the councillors’ discussion was in secret (why… who knows?) – but a few weeks later, the councillors reverted to offering £10 an hour. The then-clerk Kate Bradshaw resigned in disgust (not just about pay, but a number of matters); so a vacancy had to be announced – but a number of new suitable new candidates walked away when they learned the rate on offer. Fortunately, eventually, Denise, a very able candidate, came along, and she accepted the rate of pay. So… why exactly did we have to have the increase in tax foisted upon us??? In the end, the residents of Draycott parish were forced to pay considerably extra in their council tax for something that never happened. It’s not even the first time that Draycott councillors have put large increases in council tax on us. Over the last ten years, there have been inflation-busting demands for increases of 9.9% (2007), 11% (2009), 4% (2011), 14% (2012), a staggering 24% (!!) in 2014; 6% (2015); and this year (2018) 11.8%. Roll on the elections next May! We need new, common-sense, thoughtful representatives to come forward, stand for election and shake Draycott Council up; we really do. 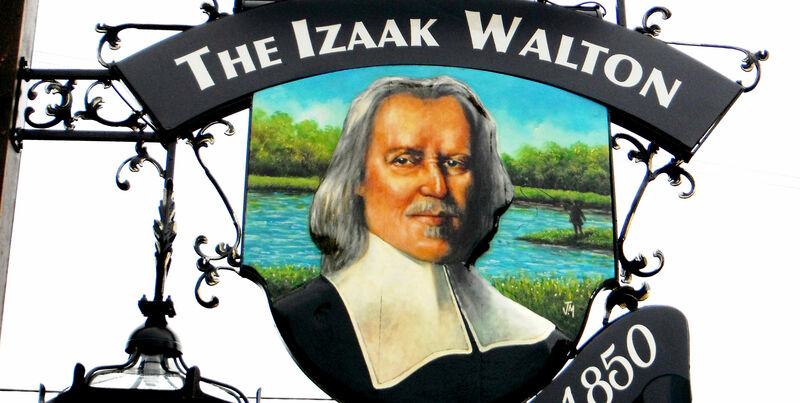 It’s that time of year again when this village will be holding its annual community assembly – the yearly meeting when the residents come together to discuss how life is going in the village. It’s a custom that goes back over 150 years. (For more about village assemblies, click here and for their rules, click Parish Assembly rules). This year however, the village councillors who are supposed to organise it have seemed less than interested in sorting it out. A date has only recently just been advertised for it (it is a fortnight away); it will be cut to just one hour this year; and it’s still not clear what will be happening in the meeting! However, from what we can gather, it will be a local-information event. It’s hoped that village groups from Draycott/Cresswell/Totmonslow will take a stand at the event and be prepared to talk about what they do. However, if you also want to raise an issue for general discussion, just ask for it to be put on the agenda – any local elector can do it. If you look at a map of our district of Draycott in the Moors civil-parish, you’ll see that the vast bulk of it is rural. Even most of us who live in the ribbons along Uttoxeter Road or Sandon Road overlook fields. And this is why the Staffordshire Police Commission is asking communities like ours to help fill in the latest crime survey. This questionnaire is about crime in rural areas specifically – whether enough is done to combat it, and why people in rural areas don’t report crime as much as those in urban areas. The Rural Crime Network questionnaire only takes a few minutes to complete. If you do fill it in, you’ll make one of our local police officers, Sgt Rob Peacock (seen above with the Staffs Deputy Crime Commissioner Sue Arnold) a very happy man. The difficult situation for the Cheadle History Centre will likely have a knock-on effect for history-lovers in Cresswell. (The centre at Cheadle has moved out of its current premises because the lease is up, and they have nowhere else to go). Volunteers from this website worked with the Cheadle history group to save the Blythe Colours Archive (see story), which consists of nearly three filing cabinets of material – all fascinating stuff if you lived and worked at the Cresswell factory over the last fifty years. It has been stored since 2015 at the group’s rooms in Cheadle High Street. But where will the archive go now? A temporary home has been found for it, but if nothing else turns up soon, it may have to be transferred out of the Moorlands to the Hanley Library Archive Centre. However, if you have ideas on what alternatively could be done with it, please use the Comments box at the bottom of this page. 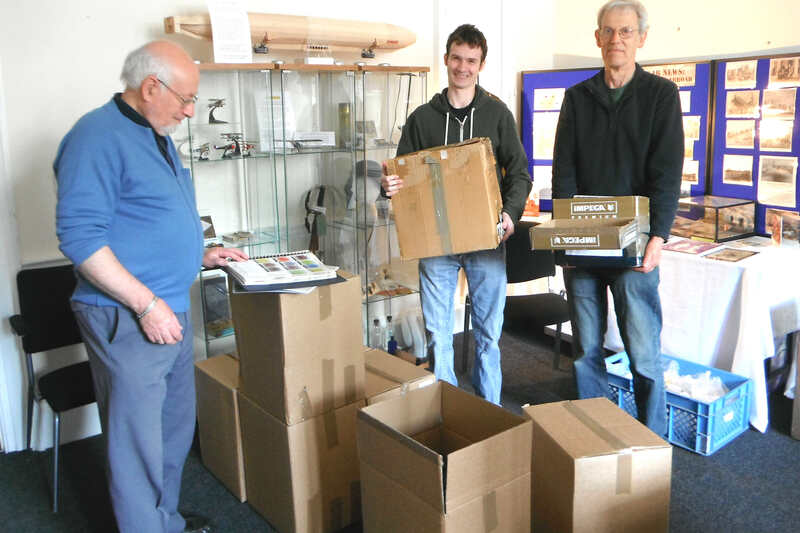 Fortunately, we did manage to index all the material, and one of the volunteers has made a fantastic digital archive of it all, so progress has been made even in the short time it has been at Cheadle. The website showing the material is really good, and well worth browsing if you have an hour or so to spare. 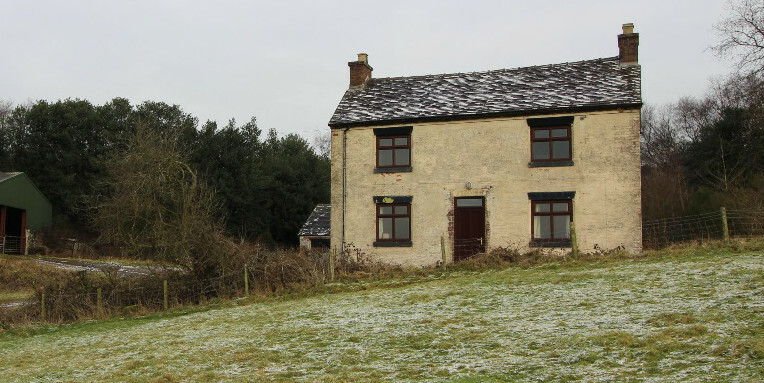 Community-level councils such as Draycott Civil-Parish Council have very very few set responsibilities – but one of them is to comment on planning matters. 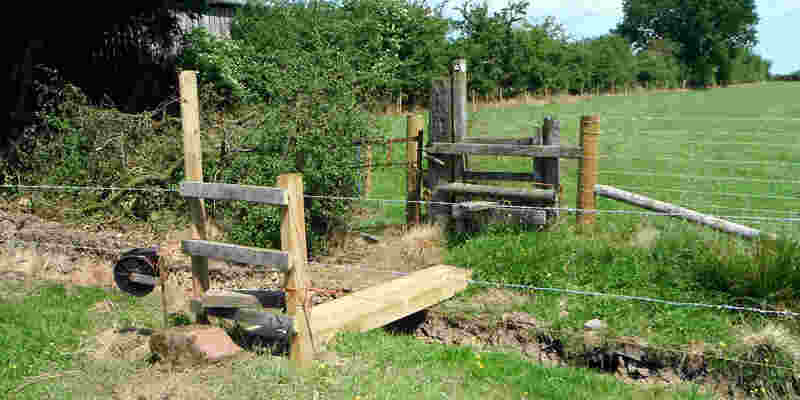 So, we were interested to see what our councillors would think of the Staffordshire Moorlands Local Plan Final Version. As the official body representing the electors here, our council’s views would have been taken seriously. And what thoughts did our council contribute? This is pretty poor of them. Virtually the whole of the Local Plan’s ‘rural areas allocation’ of housing & industry for the Moorlands has been shoved into Cresswell – thanks to the Blythe Park development plan – so, surely our council should have been falling over themselves to get their views heard (whether for or against). However, apparently they thought not. (They have had since February to discuss the matter). 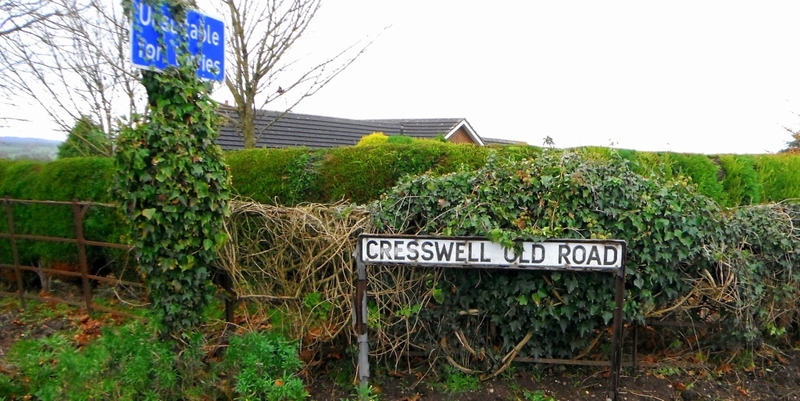 Poor Cresswell… ignored by its own councillors! The last time our council put in thoughts about the Local Plan was back in the summer of last year, but they were supposed to renew them in time for this final consultation. They didn’t. It’s not clear if they forgot, or just didn’t bother. Some residents did put in views though, which you can see on the Local Plan Comments page – including thoughts from VVSM, the Cresswell community-action group. Nearly all community-level councils, such as Draycott Council, have a public q&a session at the start of their meetings, because otherwise members of the public would not get a say (the public is not allowed to interrupt the actual formal proceedings). However, in a strange move a couple of months ago, the council decided to put the q&a session to the back-end of the meeting. Not surprisingly, an objection was put in from the public… and the council reverted, and we are now back to a bit of sense. If you want to put a question in person to the council, you are once again welcome to attend the start of council meetings at 7.30, and put your question then. 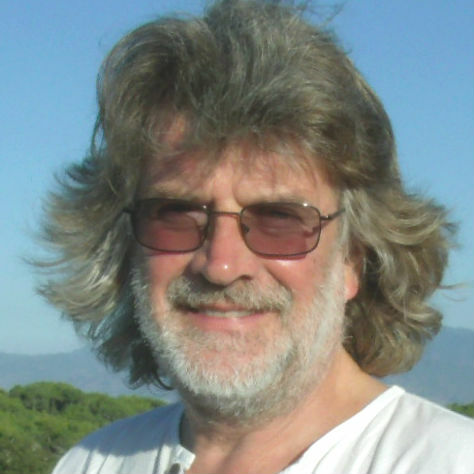 Just one month after the Draycott Council’s clerk resigned, so does the council’s chairman. Roger Holdcroft, who is highly respected, and who has hardly put a foot wrong in his time on the council over the last three years, felt he could no longer carry on in the chairman position. So, a fortnight ago, he issued a resignation letter – which you can read by clicking here. It all follows months of unheard-of scenes. As you can read in his letter, Roger (pic, right) felt that he was being undermined by some of his fellow councillors, and even worse, was being unfairly slandered and ‘trolled’ by them or their supporters. With that kind of atmosphere, it is clear he felt there was just too much disrespect, and that it was too unpleasant, as chairman, to be in the middle of it. It is fair to say that some of the shenanigans that this council gets up to didn’t meet with his full approval either. Mr Holdcroft remains an ordinary councillor though. Oddly enough, this is the third resignation in eighteen months. In Jan 2017, another Draycott councillor resigned her seat altogether, after saying she had experienced “harassment” at the hands of other councillors. Amazingly, there has been little or no reaction from any other councillor to the resignation, who all remained stony-faced as the letter was read out at the latest meeting of the council. (NB — the chairman of a parish council is not its ‘leader’ or spokesperson – this is a misconception. The chairman’s role is little more than managing the council’s meetings, but is nevertheless a responsible position). Is the popular BBC programme ‘Songs Of Praise’ really coming to our district? The fact is that one of the members of the Draycott St Margaret’s Church congregation thought it would be a lot of fun to have a localised Songs Of Praise, as a chance for the community to come together for a sing-along of favourite hymns and tunes. We don’t get the chance these days for a good sing-song, do we?, so this should be a happy event. You too can also get extra-involved by suggesting a favourite hymn to be sung on the day. Contact Kate on 07715 284580 if you have ideas about one. The event takes place on Sunday 29 April at 6pm at St Peter’s in Blythe Bridge (the sister church of St Margaret’s) – and all are welcome. But… no, the BBC won’t be there! 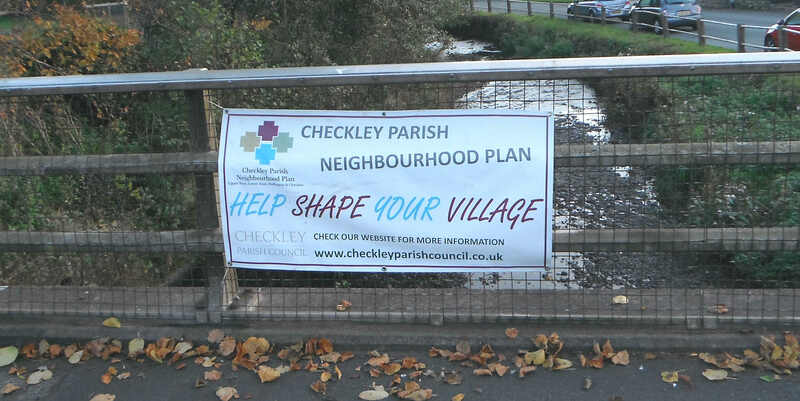 Another call for community involvement is seen in the growing desire to put a local ‘neighbourhood plan’ into place. After a failed attempt here in Draycott two years ago, it looks like this time the idea has a bit more steam to it: the volunteers of the working-group behind it have been given grant-money and are a bit more confident of success this time around. (A few semi-rural areas like ours already have neighbourhood plans either established or almost established. 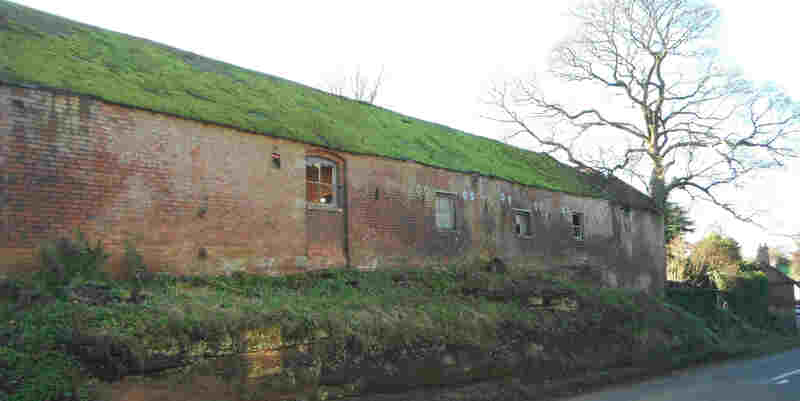 Nearby, both Checkley (see pic below) and Forsbrook real are well on the way to getting their plans ratified). Our own plan is still at the baby stage, so nothing has yet been decided – which means you still have the chance to influence it. Over the next fortnight, there will be three ‘pop-up’ open sessions, where you can go along and have a chat, and say your piece. It’s worth putting in your penny-worth, if you are interested in the future of our district, as, once a plan is set up, local authorities and developers must (yes, must) take notice of it. Check our What’s On page to see dates and times of these sessions. If you really can’t make the sessions, at least fill in the form – it’s only half-a-dozen questions long – and get it back to the working-group. Click here to see (and print off) the form. A few years ago, there were regular crime & order ‘community surgeries’, which our local PCSO (Police Community Support Officer) put on for us every month. It was a chance to talk about issues from dog-mess in public places (illegally left) to more serious problems such as drugs and more. Sadly, they were discontinued when there were changes in the personnel of our local police. 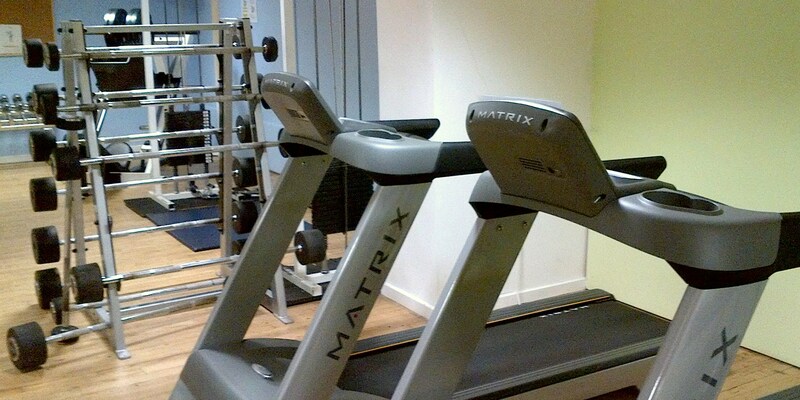 However, along has come a new PCSO, Daniel Nettleton, and he has restored the sessions. Every month now, you can meet up with PCSO Nettleton at Blythe Bridge Library and chat about matters. If it’s very serious, there is even a closed room at the library for confidential chats. Daniel is very keen to see folks, so make a note of the dates he is going to be there (though you can phone him at any time too, of course). He’s at the library 10am-noon on 14th April, 12th May, 9th June, 14th July – and so on. He’s a nice fellow too, and may even make you a cup of coffee! What’s the biggest infrastructure project prospect for our district at the moment? 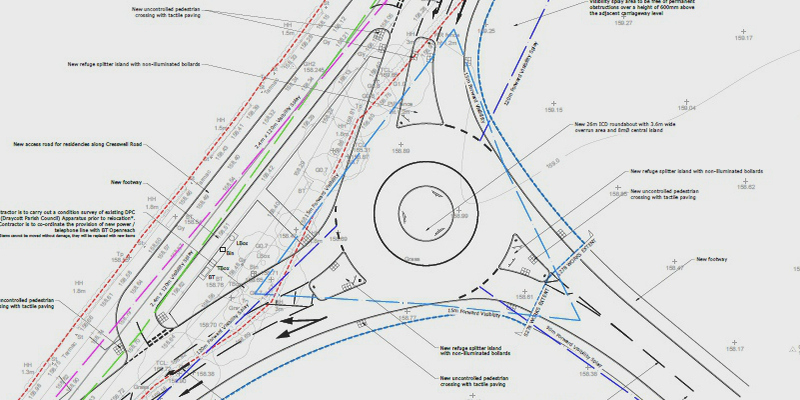 Yes, it’s the Cresswell Blythe-Park roundabout (which is planned to be just 100 yards from the railway crossing). It will bring significant disruption to the residents of Cresswell. In fact, it has been deemed such a major set of works that the planners at Staffs Moorland Council decided they couldn’t pass it without the approval of the Planning Committee. Then, the planning committee in turn deemed it so important that they have asked for more time to determine it, and now it won’t be discussed until May. The local MP, Bill Cash, has got involved too. 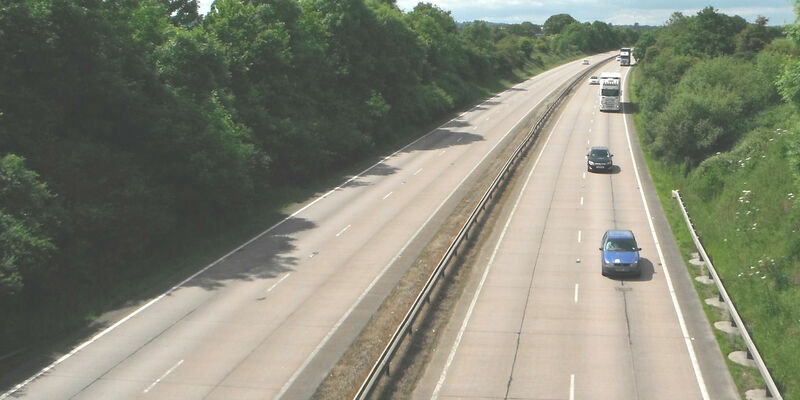 On the consultation web-page, nearly two-dozen residents (and Bill Cash) have put in their formal comments expressing their concerns. 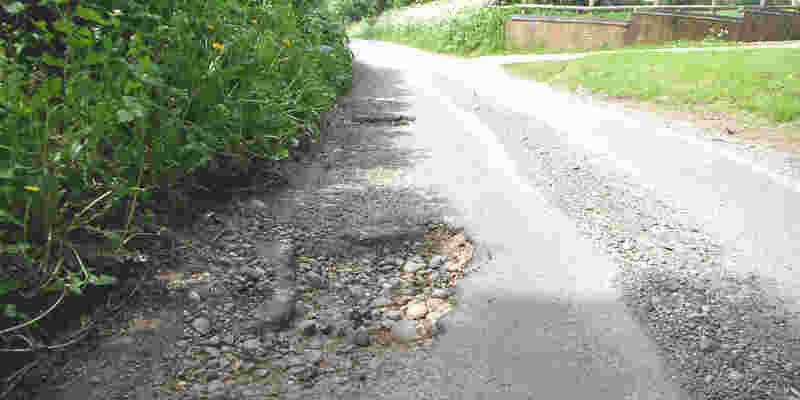 And what has our Draycott Council done? When the matter was put before the councillors at their meeting in February, they made … er… no comments. No wonder some residents of Cresswell feel this council is not taking any notice of them and is just indifferent to their problems. One birthday party we have all been looking forward to is that of the district’s oldest resident, Betty (Bessie) Hammond. She does admit that she gets more tired more quickly these days, but even so, she still accepts offers to “do her bit”. 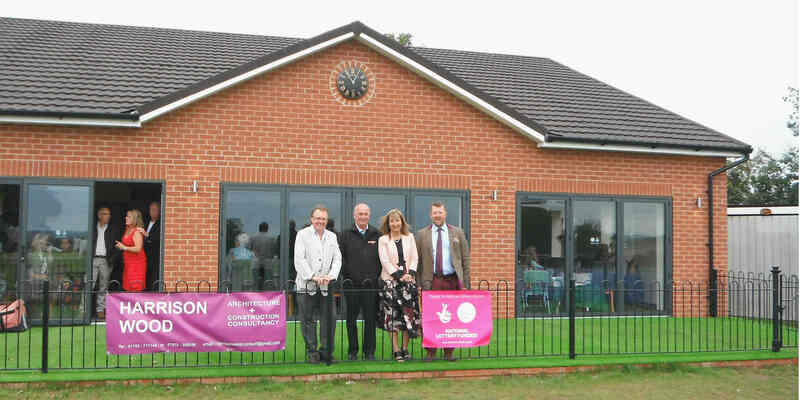 She was the official guest of honour last summer when the new £500,000 community pavilion was opened at the local cricket club. She cut the ribbon to open it. To mark this amazing birthday milestone, an ‘open’ party for all friends, neighbours and colleagues is being held at Draycott Sports Centre on Saturday 24 March, 2pm onwards. With the winter behind us and the warm weather coming up, one local man is gearing up for the festival season. 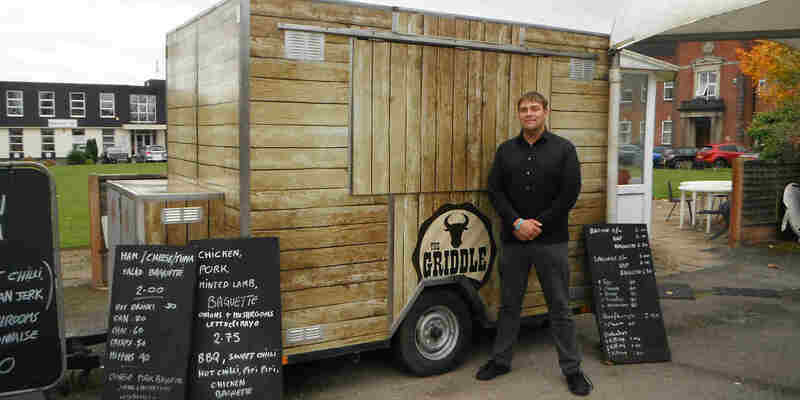 Ian Barlow, who runs the Little House catering-van, can be found every weekday morning by the bowling green on Blythe Business Park. His fry-ups are the best of British, and all (not just those working on the park) are welcome to visit, take a seat, and enjoy a breakfast. His range has now extended, and extra, more exotic dishes are also on offer, including some spicy Tex-Mex chilli etc. However, in the summer months Ian also travels out on weekends – to look after hungry festival-goers. So… he decided a new look was needed, and he experimented last summer with a Wild West design on his van (to go with the chilli range! ), which was made up to look like a log-cabin. It was so successful, he’s keeping the look. Ian will also sport a ten-gallon hat when he feels like it, just to complete the appearance! Check him out at local festivals (including CloggerFest) and say hello. John Wayne would be proud…. If Spring is here, then it’s time to get the kids running about again – and our local sports clubs are doing just that. Next weekend (Sunday 18 March), Draycott Sports Centre is hosting a so-called ‘Quorn Cup’ – which brings together one adult and one child from a family, to play as a pair in a tennis tournament. A soft ‘red’ ball is used to make it fairer. But, more than that, the centre is re-starting its Mini-Tennis sessions. Kids from as young as three (up to ten years) can apply for the lessons, which take place on the indoor courts with qualified coaches. You can book online for the lessons – click here. 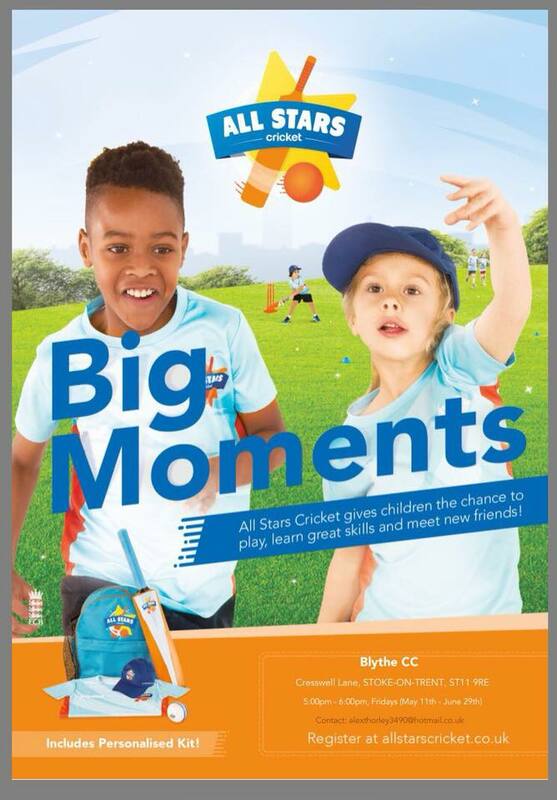 Well done to our sports clubs for continuing to be so family-friendly. Last month Draycott Council’s Clerk, Kate Bradshaw, aftre nearly four years in post, resigned. (Because the records of the relevant meetings have been kept secret, we don’t know what has been going on to cause this). Anyway, the post is now vacant. Applications are welcomed – closing date April 9th. A Clerk is the main employee of a local, parish council, and is paid to manage its affairs. The salary for the post was going to be listed at around £210 to £250 per month – but, that rate now seems to be under question… as a member of the public, Mr Warburton, raised an interesting point at the last council meeting: is the current salary correct? Mr Warburton’s research indicated to him that the current hourly rate of £12.50 for the Clerk seemed high; and he said that, in his opinion, councillors, by applying an inappropriate rate, may have over-spent taxpayers’ money by some £3000. Mr Warburton may well have a good point. The hourly rate has been around £12 for the last few years, back to the time of the previous clerk in fact, and councillors may not have been as diligent as they should have been over the past decade or so in reviewing the rate each year. Did they give it proper annual examination? If this sort of thing interests you, Mr Warburton’s points should now be on the agenda for the council’s next meeting – which takes place on Monday 26 March (not on the usual third Monday) at 7.30pm. One bit of news that residents may not welcome, but will certainly be welcomed by all the developers who want a bit of Draycott, is that the local community-action group VVSM has decided to disband (see their announcement). It seems like not enough people were coming forward to help keep the group running, and the weight of work was just too much for the few people left. It’s a great shame, as VVSM can rightly claim much of the credit for the fact that, back in 2009, the developers who wanted to build a gas power station in Cresswell eventually withdraw their application. The group went on to hire legal teams to fight the next big problem, the Blythe Park housing estate application, and managed to expose an awful lot of facts that had been kept hidden and even misreported, thus slowing down the progress of those plans. They also contributed to the general life of the community, installing a defibrillator in Cresswell among other achievements. However, as VVSM say in their latest post, it does seem as though everyone in the district, from householders to politicians, now just think that there is very little that can be done about development issues… and have given up. This may explain why no new members have come forward. It may be something we regret though. 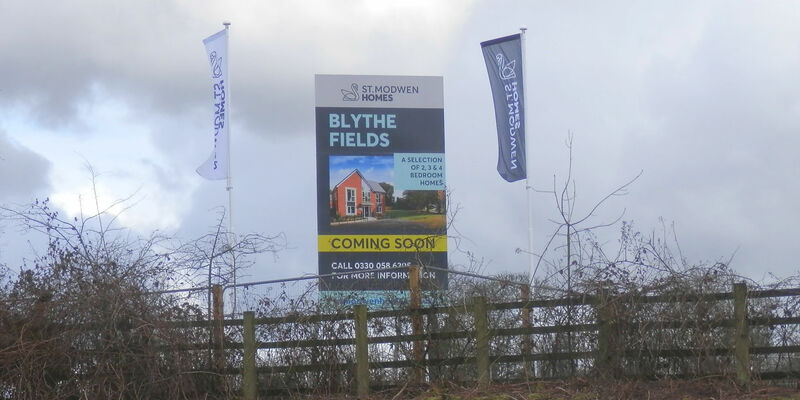 The housing-estate at Blythe Vale has now been approved as well the one at Blythe Park, so the developers will now next be looking hungrily at Cresswell ridge (on the skyline above Uttoxeter Road) where outline planning permission for further development is already approved. Without VVSM in place, those developers will certainly have a much easier ride. Congratulations to Pauline & John Clarke, the organisers of the Draycott Christmas Tree Festival. Once again, they created an event that really did try to pull the local community together – and there really aren’t enough of such events in Draycott. Among the groups that decorated, themed, and submitted trees were the Draycott Women’s Institute, the local cricket club, the bellringers group, Forsbrook School, the Draycott Brownies and more. Draycott Manor School did the event a compliment by putting in four trees! The most thoughtful tree (we think) was the one from Forsbrook Primary, which was a Poet-Tree (geddit?) with poems written by the children hanging from the branches. However, as usual, it’s a shame that more groups, families and businesses did not take part. Community spirit does seem to be declining in Draycott, especially compared to all the wonderful things happening in the villages surrounding us. What can be done to improve it? It’ll soon be the kids’ holidays, so if you’re looking for a quick trip out, why not try Newcastle-under-Lyme Museum? There is lots of stuff for kids there. But the reason we mention the museum particularly is because local man, Anthony Hammond, has an exhibition on there at the moment; it runs until January 8th. Anthony specialises in carving sculptures out of tree-trunks, which he does with a specially adapted electric saw. Many of us will have seen him doing his stuff at the Draycott Summer Fayre. 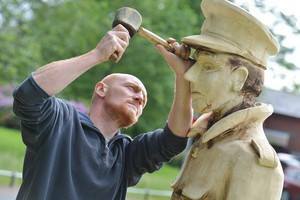 He was recently in the papers for a fantastic carving of a World War One soldier (see right), which you can also see at Newcastle. 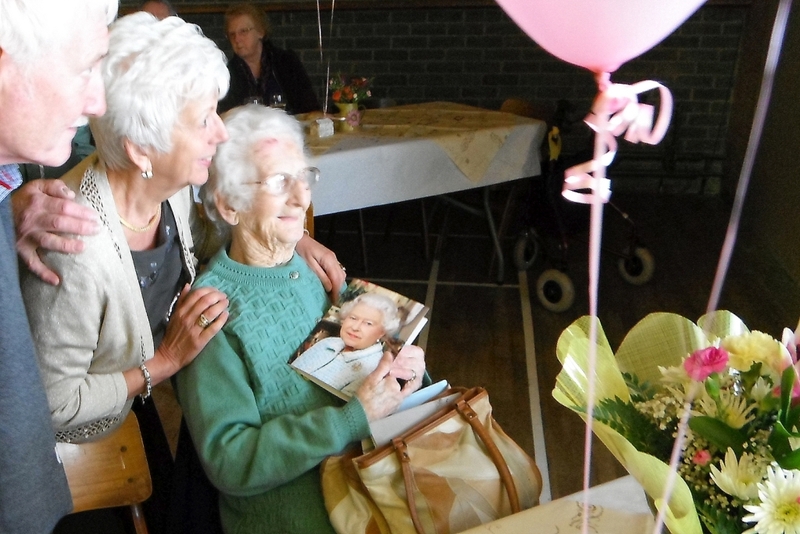 Incidentally lots of you ask after his grandmother, local-legend Betty Hammond. Apparently, she is doing well at the moment, even if she is less mobile than she was. 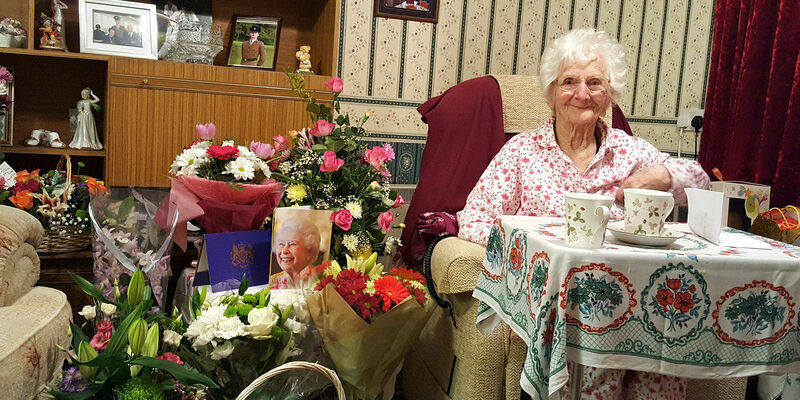 This Christmas will be her 104th! One person who has been sadly absent from village activity for quite a while is Dave Trigger, one of the three councillors who represent this district on Staffordshire Moorlands Council. Dave has a wealth of knowledge about local government and about engineering (his specialist subject) and he often brings a lot of common sense to the table whenever he has got along to a Draycott Council meeting in the past. He has faced a major operation, which – everyone hopes – will go some way to getting him back on his feet.